If you’re looking to upgrade to direct digital radiography but the cost has kept you back, Medlink has the solution…the ALTO DR by Vieworks. 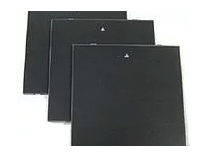 We offer a broad range of flat panel detectors that easily integrate and convert analog X-Ray imaging to a fully capable digital x-ray machine. Compact, lightweight and portable, an ALTO DR flat panel detector offers superior digital image quality at an affordable price. For those making a complete transition to digital imaging, Medlink also offers a variety of fully-integrated direct digital radiography systems. Whether upgrading your traditional radiography system or making the move to a complete digital set-up, trust Medlink to help you see what a difference digital radiography will make. The ALTO DR by Vieworks utilizes the newest patented wave of technology for digital x-rays – AED (Automatic Exposure Detection). This technology requires no integration to the X-Ray generator. Medlink Imaging offers a variety of digital solutions to help physicians, clinicians and healthcare professionals make the transition to digital imaging. Our team of professionals are here to provide you with the technical expertise and information you need to make the right choice when you’re ready to transition to a digital x-ray machine. Call our expert team at 800.456.7800 if you have any questions about which ALTO DR flat panel detector may be the best choice for you, bringing up to speed with high quality direct digital radiography quickly, easily, and affordably. The ALTO DR Wireless Panels may be applied to any existing x-ray machine. 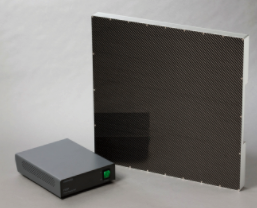 The simplicity behind a true cassette-sized panel is that it is easy to transition from a cassette-based CR or conventional film based solutions. Sizes available are 10×12 cassette-sized, 14×17 and 17×17 cassette-sized. The ALTO DR Tethered Panels may be interfaced directly with many x-ray generators if desired; however, the preferred method is utilized with the patent supported – AED (Auto Exposure Detection) Mode. Sizes available are 10×12 cassette-sized, 14×17 and 17×17 cassette-sized. The ALTO DR 17×17 Fixed Panels are an ideal solution for retrofitting new or existing x-ray equipment. Many workflow environments may include a two (2) panel Solution, consisting of a Fixed 17×17 Panel for the Wall Stand and a Tethered or Wireless Panel either for the table or for off-table procedures. 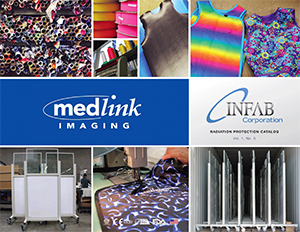 Since I founded Medlink Imaging, LLC 24 years ago, the medical and veterinary X-ray imaging market has experienced a continuously changing atmosphere, which creates new and bigger challenges in our marketplace. In order to continue to grow and support our customers, Medlink needed to partner with a manufacturer that can provide new technology, quality products and long-term commitment to our industry. There is no one better than Vieworks to provide us with all of the above. We are pleased to announce that as of Tuesday, January 9, 2018, Medlink Imaging, LLC is a wholly-owned subsidiary of Vieworks America, Ltd, one of the largest manufacturers of flat panels for medical and veterinary end use in the world. Please be assured, while we are excited about this news and the possibilities ahead of us, we will continue to do business as usual. We are committed to continuing our journey with you, our customers, into this exciting new future with long-term participation in the X-ray market.